Avion is a vintage-inspired timepiece reminiscent of transatlantic flights from the 1950's. Design cues taken from the golden age of travel include the rich brown leather strap with contrast stitching, luminous markers and classic day/date function. In a stainless steel case with charcoal grey dial. Avion is a vintage-inspired timepiece reminiscent of transatlanticflights from the 1950's. 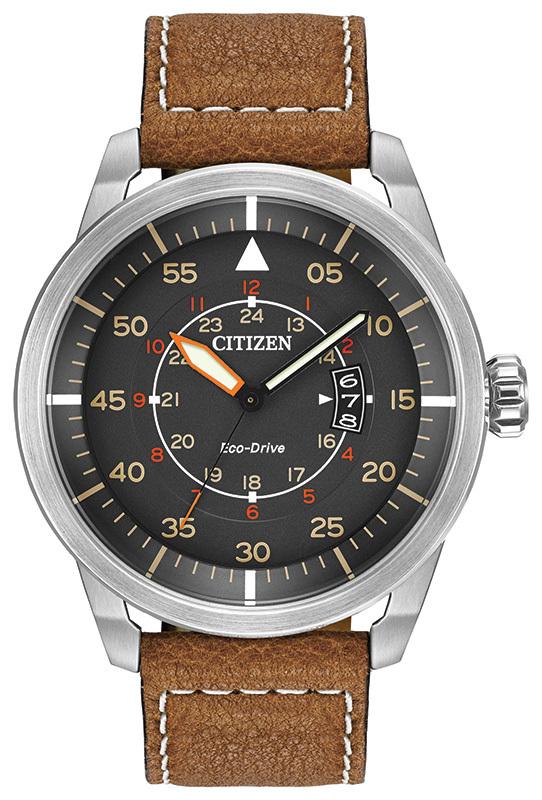 Design cues taken from the golden age of travel include the rich brown leather strap with contrast stitching, luminous markers, and classic day/date function. In a stainless steel case with charcoal grey dial.